I could talk for weeks about my 50-year infatuation with all things putting. But I figured I’d just give you the CliffsNotes instead. Regardless of skill level, putting accounts for approximately 43 percent of your total strokes, taking into account your good putting days and the ones where you’re ready to snap your flatstick over your knee. Lower this percentage and your scores will go down. Allocate at least one-third of your practice time to becoming the best putter you can be. You can’t dominate with your putter if you don’t know how to aim it correctly, or how much break to play. Nail these fundamentals first. 3. Keep your stroke “on-line” through the impact zone. If you hook or cut-spin your putts, your chance of success goes down. If your putts roll off the face in the same direction your putter is heading immediately after impact, that’s good. If your putter moves one way and the ball another, you’ve got problems. 4. Face angle is even more important than stroke path. And not insignificantly — it’s six times more important. Even if your path is good, unduly opening or closing the face at impact spells doom. 5. You’re only as skilled as your impact pattern. Catching putts across the face produces varying ball speeds. Find one impact point. My recommendation: the sweet spot. 6. Putts left short never go in. 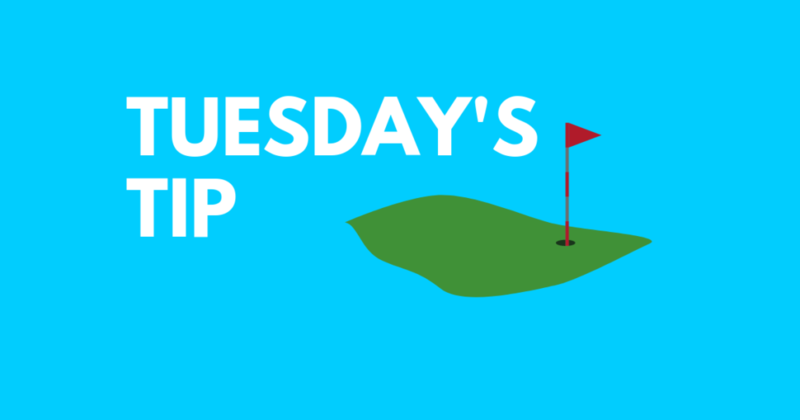 When you miss, your putts should end up 17 inches past the hole. If you roll them faster, you’ll suffer more lip-outs. Roll them slower and the ball will be knocked off line by imperfections (footprints, pitch marks, etc.) in the green. 7. Proper putt speed comes from proper rhythm. At our schools, we incorporate rhythm into pre-putt rituals, then carry that same rhythm through the stroke. Rhythm is the harbinger of consistency. You’ve got to find your own, and groove it. 8. Putting is a learned skill. Having the “touch” in your mind’s eye to know how firmly to stroke a putt (so its speed matches the break), and then also having the “feel” in your body to execute that touch is gained only through experience and solid practice. See No. 1. Sometimes poorly-struck putts go in and well-struck putts miss. Sometimes badly-read greens compensate for poorly struck putts. Results can confuse golfers when they don’t understand the true fundamentals of putting. Having the patience to learn to be a good putter is an incredible virtue for a golfer. 10. Putting is like life. You don’t have to be perfect, but you can’t do any of the important things badly. My advice? Believe in yourself. Becoming a great putter isn’t easy, but it’s possible (Phil Mickelson, at age 48, is enjoying the finest putting season in his career). Maintain a good, hardworking attitude as you work through items 1 through 9. I’ve seen success stories happen thousands of times. Everyone is capable of improving. Have any golf goals for 2019? Euchre Game Night Tonight!